YeuAmNhac Group (YAN) is Vietnam’s first and only media platform solely dedicated to music through every key channel: Internet, TV, mobile, radio and concert events. In 2003, YAN Online was launched on the web and has become the biggest and most influential music site in Vietnam, with some 900,000 members. YAN Online also operates DienAnh, which is the biggest online movie community in Vietnam. Both sites are in Vietnam’s top 100. 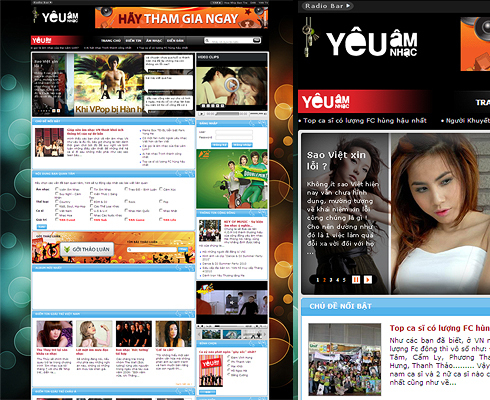 In 2009, YeuAmNhac TV (YAN TV) was launched. It is a dedicated music channel run by an international team with strong music production, broadcasting and media experience. YAN TV aims to be Vietnam’s first world-class music TV channel, tailored to local Vietnamese tastes. It is currently available 24/24 on SCTV cable and is scaling nationwide.